The North Alabama SOLIDWORKS Users Group (NASWUG) is proud to announce our August 2018 NASWUG meeting. The meeting will be held Thursday, August 16, 2018 from 5:00pm to 7:30pm, at Dynetics Solutions Complex. Please join us as Michael Burks, Application Engineer with MLC CAD Systems, will give a presentation on SOLIDWORKS Sheet Metal. The North Alabama SOLIDWORKS Users Group (NASWUG) is proud to announce our November 2017 NASWUG meeting. The meeting will be held Wednesday, November 15, 2017 from 5:00pm to 8:00pm, at Dynetics CHQ. 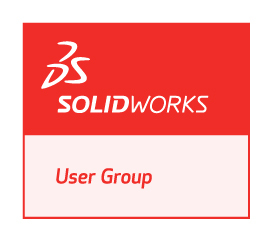 We will be participating in the 2nd Annual SLUGME (SOLIDWORKS Largest User Group Meeting Ever). We will have a local presentation before we join the webcast. Around 6:30pm, we will tune in to the live SLUGME broadcast originating from Lincoln, Nebraska. Todd Blacksher, SwugOne President will present “All the Small Things”, a SOLIDWORKS Tips and Tricks session covering things like keyboard shortcuts, user interface, sheet metal, weldments, and custom properties (to name a few). The North Alabama SOLIDWORKS Users Group (NASWUG) is proud to announce our January 2017 NASWUG meeting. The meeting will be held Thursday, January 19, 2017 from 5:00pm to 7:30pm, at Dynetics Solutions Complex. Please join us as Sam Skinner, Application Engineer with TriMech, will present a What’s New in SOLIDWORKS 2017. The North Alabama SolidWorks Users Group (NASWUG) is proud to announce our March 2013 NASWUG meeting. The meeting will be held Thursday March 7, 2013 from 5:00pm to 7:30pm at the Dynetics Corporate Headquarters Building. Note: This is the location we have had many meetings at in the past. The Dynetics Solutions Complex (our new normal meeting place) was already booked. Please join us for a recap of SolidWorks World 2013 and a demonstration of SolidWorks Electrical Routing. The North Alabama SolidWorks Users Group (NASWUG) is proud to announce our January 2009 meeting! The meeting will be held on Tuesday January 27, 2009 from 5:00pm to 7:00pm at the Dynetics Corporate Headquarters Building. Come join us for a presentation on Custom Printed Circuit Board (PCB) Design using SolidWorks. This is the presentation that will be given by NASWUG president Ricky Jordan at SolidWorks World 2009. It covers recommended processes and feature demonstrations in the development of Custom PCBs in SolidWorks. This presentation covers pre and post ECAD layout. ECAD layout itself is not performed in SolidWorks. You can read a little more about the presentation HERE. Dinner will be provided along with LOTS of Door Prizes to be given away at the end of the meeting. The North Alabama SolidWorks Users Group (NASWUG) is proud to announce our September 2008 meeting! The meeting will be held on Tuesday September 30, 2008 from 5:00pm to 7:30pm at the Dynetics Corporate Headquarters Building. Come join us for a What’s New in SolidWorks 2009 presentation. The presentation will be given by NASWUG president Ricky Jordan. New this year is the chance for group members to help shape the What’s New presentation topics! Click the HERE and leave a comment on what topics you are most interested in seeing in the SolidWorks 2009 What’s New Presentation! RSVP for the event today visiting our online registration form.